Green is good these days. Not just literally in having grassy areas, but being environmentally aware and lowering the carbon footprint of your community. It’s not easy to achieve, since not everyone will care enough to participate, but it is perfectly possible to help your community take steps towards being greener. Of course, it needs co-operation from the local council – and many of them are eager to go green these days – as well as community leaders. The more people who become involved, especially those in positions of authority, the greater the chance of success. First people have to know what’s going on, so plan a campaign and use local newspapers and radio to make people aware of it – they can’t take part if they don’t know it’s happening. A special event is one idea, a Environmental Awareness Green Day when people can be informed about the steps they can take. Highlight local butchers and greengrocers, as long as they source their stock locally. Cutting down on food miles is an excellent way to lower the carbon footprint of a community, and that’s especially true if it’s a rural community with easy access to meat and produce. It’s also worth discouraging the use of plastic bags – some communities have banned them – by businesses. Encourage people to travel around the community in greener ways, such as walking or on bicycles. That means fewer cars and lower emissions, all good for the environment, and walking has the added effect of making a place seem more like a community as people stop and talk on the street. Make the community and council offices more carbon-friendly by lower electricity usage – turn off computers and printers at night, recycle paper and printer cartridges, for example. Encourage local businesses and offices to conduct an energy audit and then take steps to lower their energy usage, which will aid the environment. If new public offices or buildings have been proposed, try to gain support to ensure they’re green buildings with low carbon footprints. With enough public support it can happen, and the council or community will likely be willing to explore options in buildings. These green buildings can include the use of solar panels and small wind turbines to provide the power for the building. And other businesses can be encouraged to use solar on their buildings. One of the main environmental activities to encourage in the community is recycling. Many people do it without thinking, but others don’t do it at all. 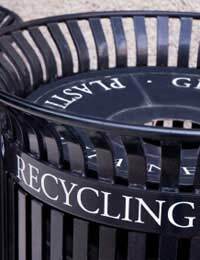 If you can persuade more people to change to recycling, you’ll cut down on the waste in your community. Is there some waste ground in your community that’s owned by the council? If so, persuade them to turn it into allotments, or create a community garden, a green space everyone can enjoy. Allotments mean more locally produced food, while a green space not only offers the community something of aesthetic value, but absorbs CO2 from the air. Also, in gardening, encourage people to compost their food waste, grass clippings and so on. The council or some other organisation might be willing to subsidise a local compost bin programme. They might even go for providing low cost water butts, which can lower the community water usage by making rainwater from house gutters available for garden use or for washing cars.